Thom J. Ertl is a Milwaukee-based artist and owner of Thom J. Ertl Designs. Thom J. Ertl Designs is contemporary urban assemblage. It incorporates, unexpectedly combines, and repurposes common everyday items into modern, artistic, practical original home furnishings and interior design. Thom J. Ertl Designs is a hybrid of over 35 years of artistic experience—merchandising, graphic design, and visual imagery—with a strong sense of whimsy and detail and a thought-provoking element of surprise. 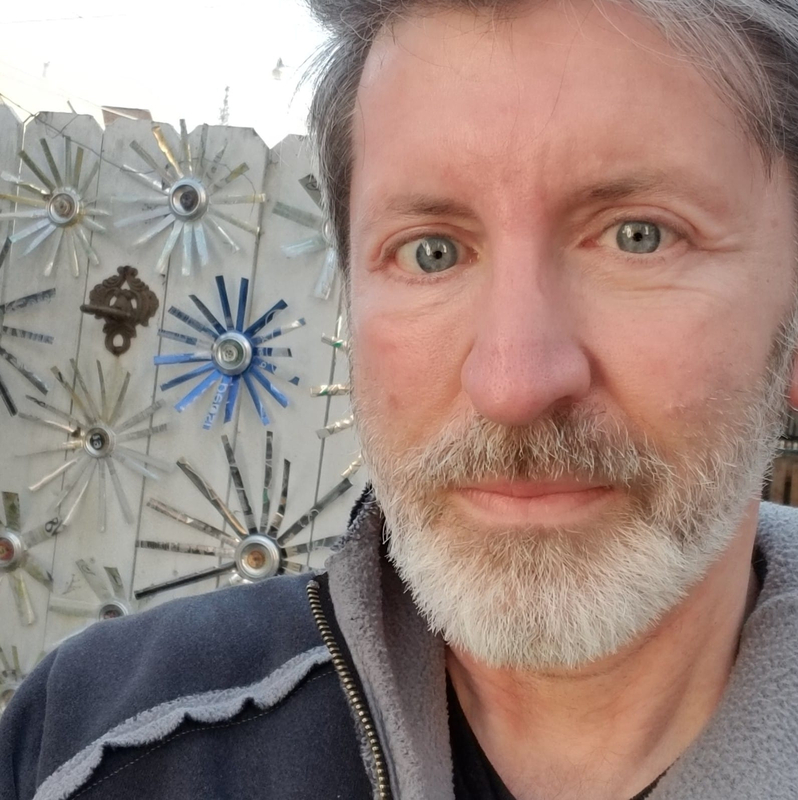 The wall art, furniture, greeting cards, and magnets of Thom J. Ertl Designs are available via art galleries, retail establishments, and pop-up art events. He was born and raised on a multigenerational vegetable farm and orchard in southeastern Wisconsin. His family has owned and operated the farm for more than 100 years. Along with the expectation of being “a farm kid,” he always made time to be inspired by the environment and the world around him. “Creativity has always been central in my life,” says Ertl. “And I was fortunate to have had a childhood that included time with a thoughtful, creative, sometimes nontraditional person who encouraged me to think beyond the expectations. Grandma Patterson and I spent some of our free time ‘doing’ arts and crafts. Whether creating projects from scratch or using pre-packaged kits, Grandma always encouraged me to experiment and try the thoughts I had in my head. For a visual taste of the wall art, furniture, greeting cards, and magnets of Thom J. Ertl Designs, go to www.thomjertldesigns.com. The Artdose Artist Directory is a tool to explore the art of Wisconsin artists. The aim of this directory is to be a resource for people seeking to buy local art. It spotlights Wisconsin artists by name, genre, website, and social media. It is a perfect resource for people looking at starting their own art collection. To purchase their art, please contact the artist directly by visiting their website. Artists receive 100% of their sales. 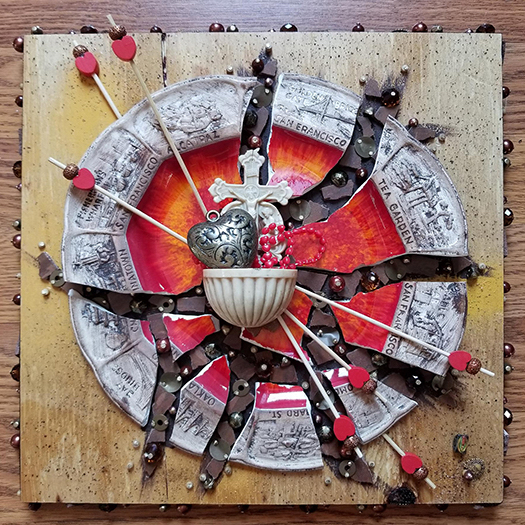 This entry was posted in artdose artist directory, artist, local arts and tagged art publication, artdose art guide, assemblage, frank juarez, local art, Thom J Ertl, wisconsin, wisconsin art on April 1, 2019 by Frank Juarez.